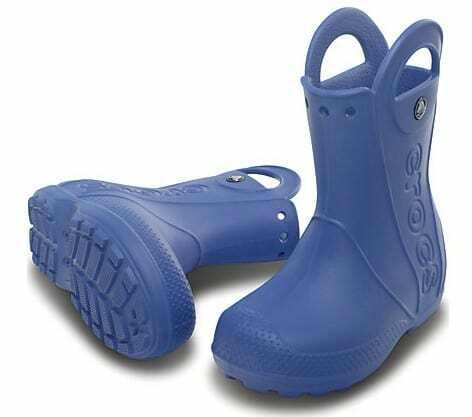 Save 57% off Crocs Kids Handle It Rain Boots! For a limited time you can save 57% off the Kids' Handle It Rain Boot at Crocs.com when you use promo code HANDLE57! Pay just $14.99. Comes in blue, fushia and yellow.